The demon Jypsum previously appeared here. Jypsum and Axwain were created by D.F. French for his comic book Le Diable back in 1991. They are used here with permission. 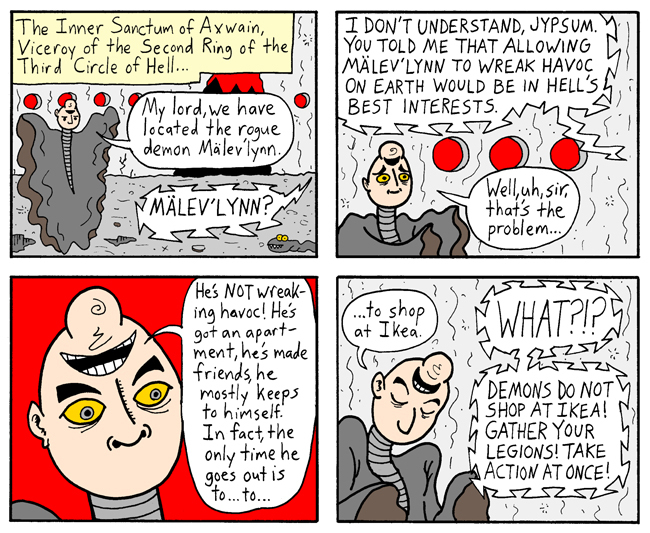 With great embarrassment, I must report that Axwain should be viceroy of the second ring of the seventh circle; I lettered it wrong, and didn't notice until it was too late. Please accept my apologies. Next Week: Demons! Demons! More demons!